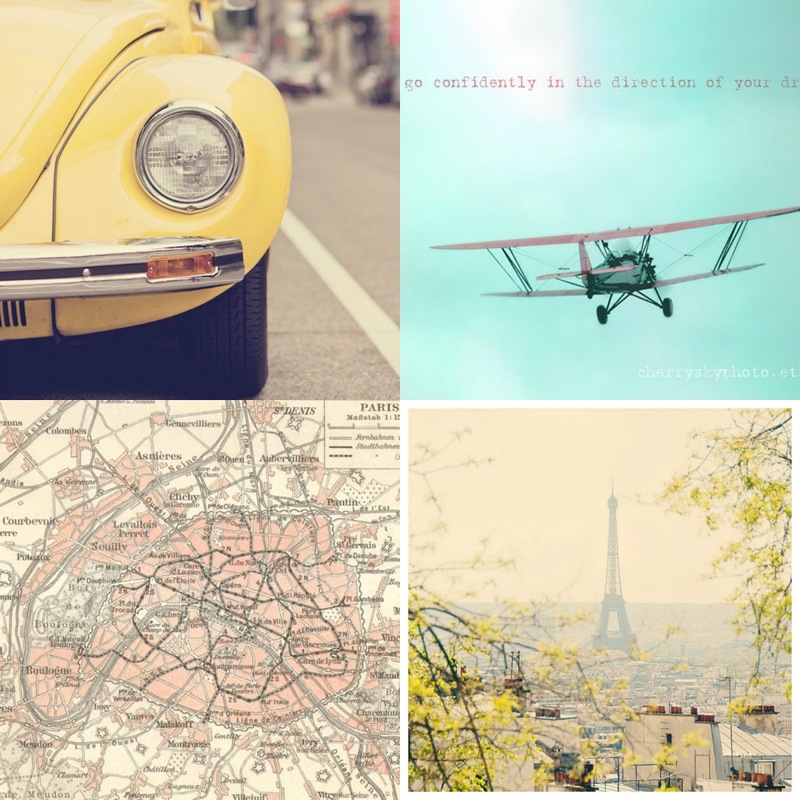 I realized I didn't mention any of my dreams in my previous post, until my blog friend Kerry pointed it out :) So instead of listing them I created a moodboard - the very first one of this year - can you guess which of my dreams is foremost in my mind? so schöne Träume...und so einen alten Käfer hatte ich früher...seufz.. Und ich wünsche dir, dass mindestens ein Traum in Erfüllung geht! oh ja! Nach Paris möchte ich auch gerne mal! Ich war noch nie dort! Warst du schon mal da? Ich wünsche dir ein wunderschönes neues Jahr! Mögen einige deiner Träume in Erfüllung gehen! I bet it has something to do with travelling! Liebe Duni, ich wünsche Dir einen wunderbaren Start in die neue Woche und hoffe, dass die Internetprobleme sich endlich lösen! Schöne Träume hast Du... Mögen Sie in Erfüllung gehen! I hope you get to do lots of traveling in 2014 Duni! And a trip to Paris sounds wonderful! A trip to Paris! A very attainable dream! I hope you get to go in 2014. Sigh, Paris. I would love to go back for a visit - soon! Looks like you have some plans for traveling this year! Great board, I love the airplane picture. Beautiful colors! You always find the best pallets. Are you taking a trip to Paris?? That is so exciting! I love these pictures, too! Ahh - Paris!! One of my tax office coworkers went to Paris after tax season last year. She LOVED every minute!! ich wünsche Dir und Deinen Lieben von Herzen ein frohes und glückliches neues Jahr! Dein Moodboard kommt so frisch und frühlingshaft daher, besonders das Foto mit dem VW hat es mir angetan.